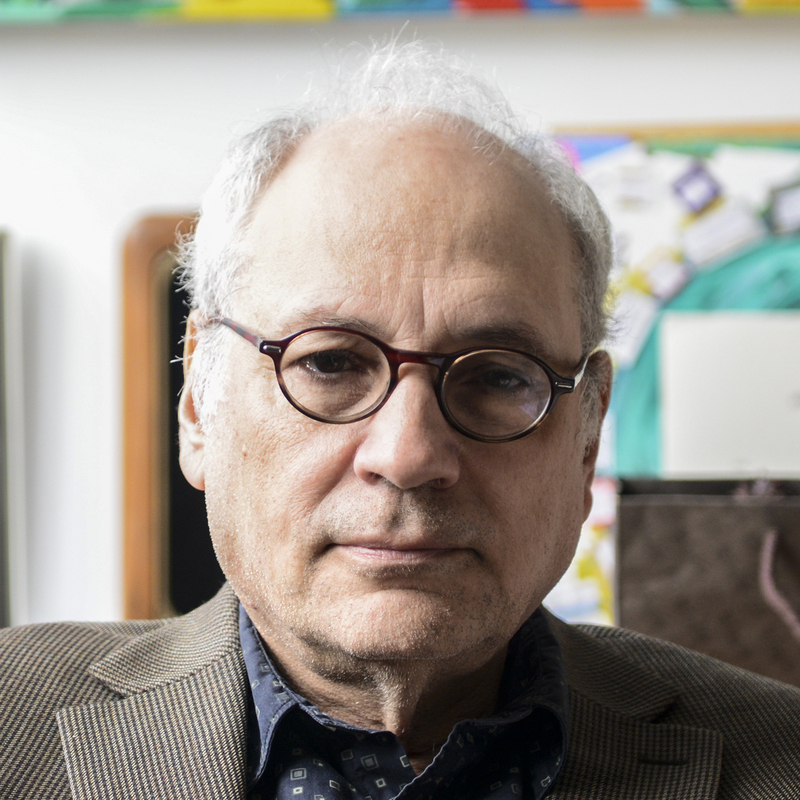 Charles Bernstein teaches poetry and poetics, with an emphasis on modernist and contemporary art, aesthetics, and performance. HIs web CV links to poems, essays, and books. He will be retiring from Penn on June 30, 2019. Bernstein has published five collections of essays — Pitch of Poetry (Chicago, 2016), Attack of the Difficult Poems: Essays and Inventions (Chicago, 2011), My Way: Speeches and Poems (Chicago, 1999), A Poetics (Harvard, 1992), and Content's Dream: Essays 1975-1984. His books of poetry include Near/Miss (forthcoming Oct. 2018), Recalculating (Chicago, 2013), All the Whiskey in Heaven: Selected Poems (Farrar, Straus and Giroux), Girly Man (Chicago, 2006), With Strings (Chicago, 2001), and Republics of Reality: 1975 - 1995 (Sun & Moon, 2000). His libretto Shadowtime, for composer Brian Ferneyhough, was published in 2005 by Green Integer; it was performed as part of the 2005 Lincoln Center Festival. Bernstein is the editor of several collections, including: American Poetry after 1975 (Duke University Press / special issue of boundary, 2009), Close Listening: Poetry and the Performed Word (Oxford, 1999), The Politics of Poetic Form: Poetry and Public Policy (Roof, 1990), and the poetics magazine L=A=N=G=U=A=G=E, whose first issue was published in 1978. He is editor of the Electronic Poetry Center and co-director (with Al Flireis) of PennSound. He has collaborated with painters Susan Bee, Mimi Gross, Amy Sillman, Francie Shaw, and Richard Tuttle on several artist's books and projects. In 2001, he curated Poetry Plastique, with Jay Sanders, a show of visual and sculptural poetry at the Marianne Boesky Gallery in New York. He has writtern libretti for Ben Yarmolinsky, Anne LeBarron, Dean Drummond, and Feryneyhough. Bernstein, who was born in 1950, grew up on the upper West Side of Manhattan and attended the Bronx High School of Science. He graduated from Harvard College, after which he worked for many years as a freelance medical/healthcare writer. From 1989 to 2003, he taught at the State University of New York at Buffalo, where he was co-founder and Director of the Poetics Program and a SUNY Distinguished Professor. He has been the recipient of fellowships from the Guggenheim Foundation, the New York Foundation for the Arts, and the National Endowment for the Arts, and of the Roy Harvey Pearce/Archive for New Poetry Prize of the University of California, San Diego; for lifetime contribution to poetry and scholarship. In 2006 he was elected a Fellow of the American Academy of Arts and Sciences. In 2015 he was awared the Münster Prize for International Poetry. Jason Zuzga "Uncanny World: Envisioning Nature in Documentary"
Katie L. Price "'The Tangential Point': Pataphysical Practice in Postwar Poetry"
Sarah Dowling "Remote Intimacies: Multilingualism in Contemporary Poetry"
Shoshana Enelow "Method Acting and the Limits of Identity in the Mid-century America"
Sarah Kerman "Speaking for Americans: Modernist Voices and Political Representation, 1910-1940"
Michelle Strizever "Visible Texture: Artists' Books, 1960–2010"
Jane Malcolm "Hard Women, Hard Modernism: Gendering Modernist Difficulty"
Rebecca A. Sheehan "Totality and the Infinite: Paradoxes of the Visual, Figural and Linguistic"
ENGL 062.401 20th-Century Poetry not from the U.S.
ENGL 062.401 20th Century Poetry not from the U.S.